A smooth and even complexion is the foundation of a youthful appearance. Houston Plastic Surgeon Dr. Patronella offers a full array of simple, yet effective non-surgical options that will help you to achieve a younger, fresher appearance with little to no downtime. 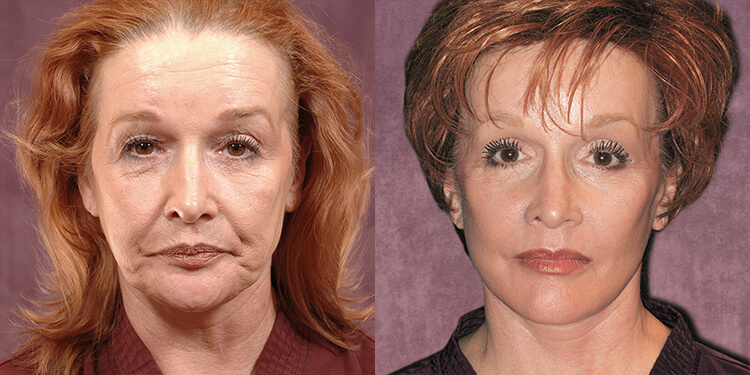 Cosmetic injectables can be combined to soften lines and enhance facial contours in a method that is sometimes referred to as a “non-surgical facelift” or a “liquid facelift.” Though they can provide a more uplifted facial appearance when used to contour the cheeks, injectables cannot correct sagging skin and tissues and provide the extensive lifting that is achieved with a face lift, eyelid surgery, or a browlift. However, they are effective at reducing fine lines around the eyes and wrinkles that are moderate to severe in depth in other areas of the face. In addition cosmetic injectables can be used to restore youthful contours to the face by adding volume to areas that have become flattened, hollow, or thin as a result of the aging process. Most commonly this include the cheeks, the area under the eyes, and hands that have developed a bony appearance. Recontouring the cheeks in this manner provides the added benefit of giving the face a more lifted look. Many individuals like the lip plumping effect that can be achieved with cosmetic injectables as well. The effects of cosmetic injectables are temporary, with most lasting anywhere from 6 months to a year, and 4-5 months for BOTOX® and Dysport®. With the hyaluronic acid-based fillers, a longer lasting effect can often be achieved by layering a second treatment six months after the first. What causes frown lines and laugh lines? When you make facial expressions, muscles that lie beneath the surface contract, causing creases or furrows in the skin. As you grow older, skin begin’s to lose its elasticity-the ability to “snap” back into place and still remain smooth, so that the creases become more visible. How does BOTOX® Cosmetic and Dysport® diminish fine lines and brow furrows? During your treatment, Dr. Patronella or Heidi Fell, RN, will make tiny injections of BOTOX® Cosmetic or Dysport® directly into the muscles that are responsible for the skin creasing. They help these muscles to relax by blocking the release of a chemical that causes them to contract. When administered by an experienced professional, the effects of these injectables will appear natural, allowing you to show facial expression while inhibiting the muscle movement just enough to soften lines. Results vary between individuals, but they typically last anywhere from 3 to 5 months. If you are bothered by excessive sweating in the armpits and palms, a condition known as hyperhidrosis, BOTOX can be used to effectively treat this issue. The Federal Drug Administration has approved BOTOX® and Dysport® to treat conditions known as strabismus and blepharospasm, or disorders of the facial nerve in patients aged 12 and above. Juvederm™ Ultra is a hyaluronic filler that can be used to smooth away wrinkles and folds and to add volume for fuller, and softer-appearing lips and cheeks. It works by providing the benefits of hyaluronic acid, a naturally produced substance in the body which hydrates and adds volume to the skin. Juvederm™ Ultra’s results are FDA-approved to last up to a year. Like Juvederm™ Ultra, Juvederm™ Ultra Plus can be used to improve facial contours and diminish lines, but it is specially formulated to correct deeper wrinkles and folds, such as the nasolabial folds that form between the bottom of your nose to the corners of your mouth. Results last up to a year. Restylane®, Perlane® and Juvederm™ are used to smooth out wrinkles in the face. They are clear gel products formed from hyaluronic acid. The filler is injected into the skin to smooth out and produce a wrinkle free appearance that gives you a much younger appearance. The treatment is safe and scar free. Dr. Patronella will discuss with you the different options (Restylane®, Perlane® and Juvederm™) and find a product that is right for you. Radiesse® is a wrinkle filler that not only immediately smooths out the signs of aging, it continues to work by stimulating your body’s own natural collagen. In the natural aging process, production of this valuable skin protein begins to breaks down, leading to a loss in the skin’s elasticity and volume. Radiesse® instantly corrects moderate to deep wrinkles and folds, providing natural-looking results that typically last 6 months to a year. Sculptra® Aesthetic works differently than most fillers. It gradually replaces collagen beneath the skin to restore volume to the face. It is effective at correcting shallow to deep nasolabial folds, facial wrinkles, and contour deficiencies such as hollowness under the eyes and flattened cheeks. Sculptra® Aesthetic produces natural-looking results that can last up to two years.